The Academy is committed to the vital contribution all Governors and staff can make to safeguarding children. We will strive to make sure that every student in the Academy feels secure, well cared for and able to reach his/her full potential. The Academy will work hard to reduce all kinds of harm that children can suffer, including abuse, bullying, discrimination and avoidable injuries. If you have any concerns at all about the safety or welfare of a child please do not hesitate to contact us. The Designated Safeguarding Lead (DSL) is Yvonne Dixon (Assistant Principal and SENCO). 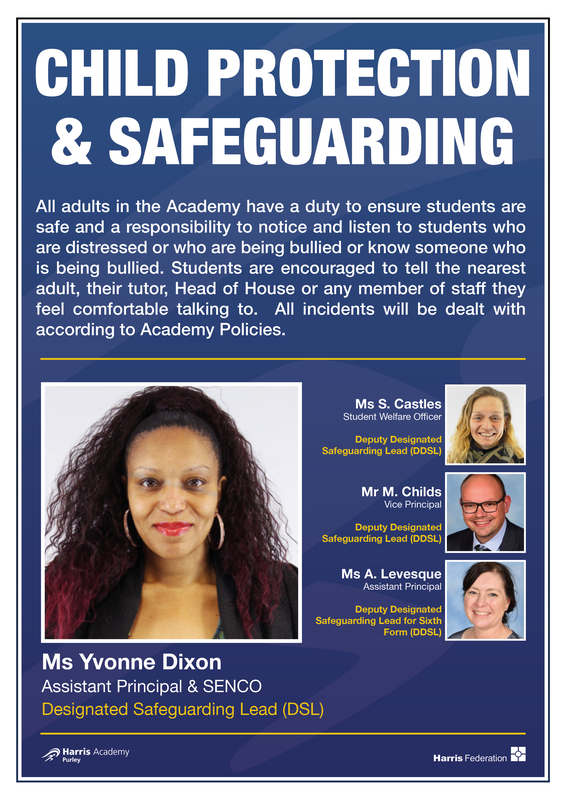 Our Deputy Safeguarding Leads are Ange Levesque (Assistant Principal and Head of Sixth Form), Matt Childs (Vice Principal) and Sally Castles (Student Welfare Officer). Harris Academy Purley is committed to providing a secure environment for students, where children feel safe and are kept safe. There is no place for extremist views of any kind in our Academy, whether from internal sources - students, staff or governors or external sources - the local community, external agencies or individuals. Harris Academy Purley employs up-to-date security technology (CCTV), which is sited both internally and externally as well as intruder detection systems and access control on its external entrances. The Academy also has a modern and comprehensive fire detection system. Access to the main Academy buildings for staff, students and visitors is carefully monitored by the Reception team and everyone on site is required to be identifiable at all times so that items such as face coverings (e.g. motorcycle visors, full face goggles or veils) which obscure clarity of identification of an individual must be removed for the duration of a person’s time on site. Identification badges are issued to visitors and photo ID cards are also worn by all staff and Sixth Form students. The remainder of students in the Academy are identifiable by their Academy uniform and House ties. Harris Academy Purley is an inclusive community that aims to support students with medical conditions. Student medication is stored in the Student Services office. This department is managed by Mrs Linda Grover, who is also responsible for administering medicines alongside Mrs Katy Smith. Harris Academy Purley sees educational visits as an essential resource, which can supplement and enrich the teaching of a broad and balanced curriculum. A comprehensive risk assessment must be carried out before any proposed visit is approved. Approval for all educational visits follows a clear process and the senior member of staff responsible for educational visits is Mr James Menagh (Vice Principal). All educational visits must also be authorised finally by the principal, Mr. P. Wheatley. Staff recently received up to date training on Safeguarding. Click on link below to discover the content of that training. 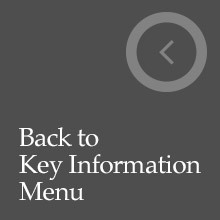 A presentation with the full brief can be downloaded below. The Academy has now switched over to using an electronic Safeguarding recording system known as CPOMS. CPOMS enables schools to improve their management of child protection and similar incidents and actions, whilst reducing staff time, paperwork and administration. CPOMS also enables schools to track referrals to external agencies, such as the NHS/CAMHS, Children’s Services, and the Police. (Including letters and phone calls) and be alerted if timescales are not being met. CPOMS also uses the same action-based functionality to track communication with parents and carers, as well as students themselves.